RTÉ Media Sales – Digital, in collaboration with ICAN has launched an innovative campaign for the launch of the RTÉ Player Autumn Schedule, The new Rich Media HTML5 Homepage Takeover on RTÉ.ie and high-impact awareness advertising across key networks is being supported by bespoke editorial packages, social and email content marketing. 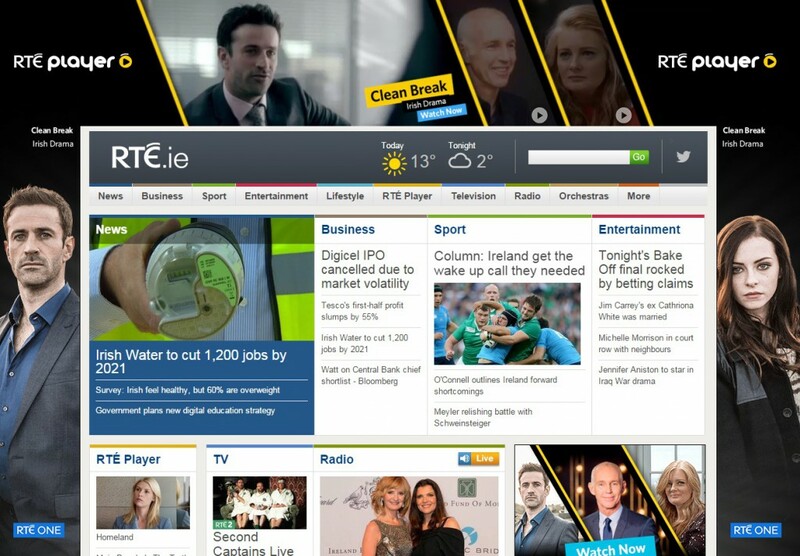 The concept for the campaign originated in RTÉ’s digital division and the build was completed by ICAN. The campaign showcases the best of the new season on RTÉ Player and builds on the momentum from the recent RTÉ Television new season campaign.